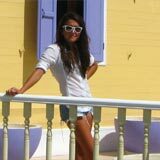 There is a big mis-conception that Anguilla is expensive. 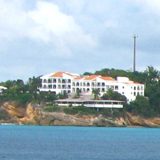 Sure, Anguilla vacations can be expensive. But they can also be affordable. 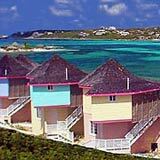 One high-value way to save on hotels in Anguilla? 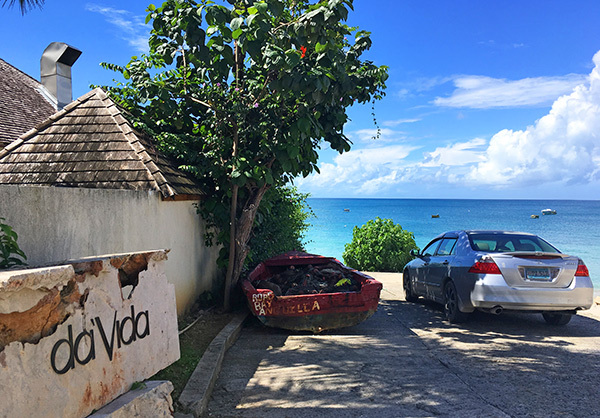 The Cottages at da'Vida, a terrific alternative to cheap Anguilla hotels. 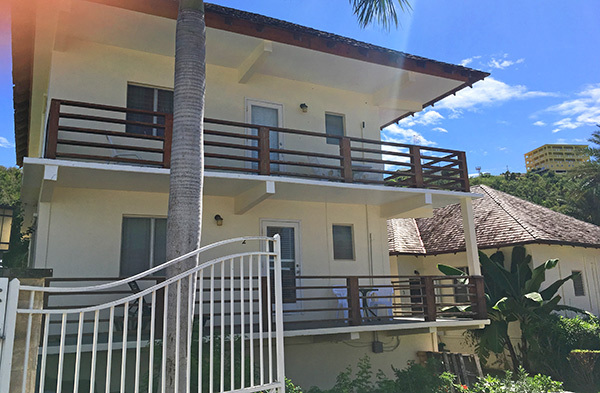 If you know da'Vida, you have already seen The Cottages at da'Vida. Four sweet apartment-style units, they are set on the very same property as the loyally-loved Bayside Grill and its fine dining restaurant next door. You drive past these apartments whenever you leave or enter da'vida's property. They are set just across from the dinner restaurant. 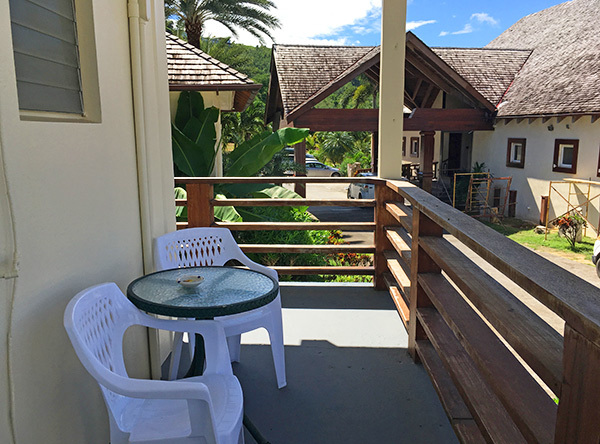 When you stay at The Cottages at da'Vida, the beach is less than 30 seconds away. 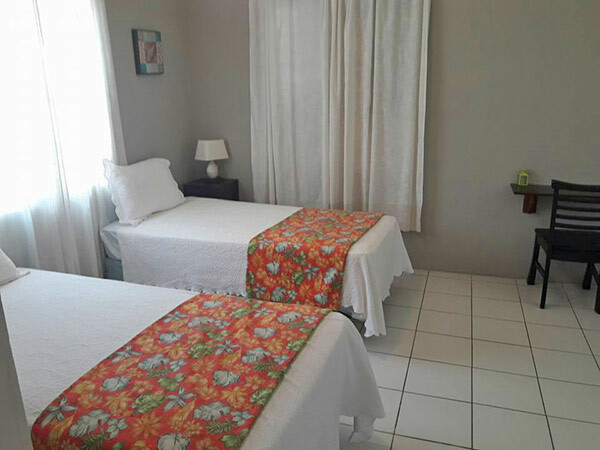 There are two types of cottages available to rent: one bedroom and two bedroom units. Let's step inside a two bedroom unit. The apartments are simple and sweet, with all of the conveniences of home. When you step inside the two bedroom units, you enter the living area. A comfortable sectional faces a large flat-screen TV with cable. The living area flows into the kitchen. It is complete with high-top counter seating and a bar dining area. The kitchen itself is fully equipped. 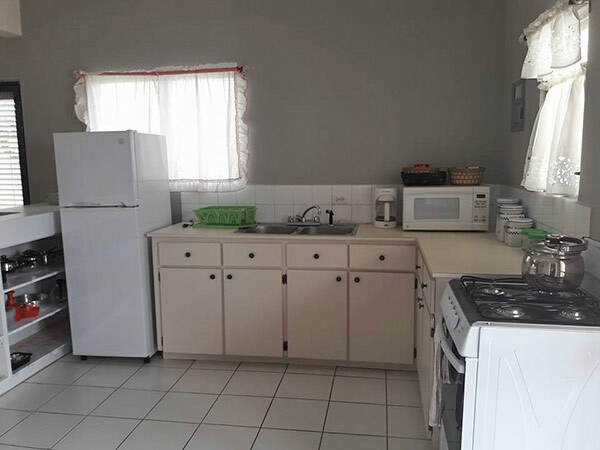 It has a half oven and stove, fridge, microwave, coffee maker and all you need to prepare and enjoy meals "at home." A special touch? Upon arrival, sodas and water are already chilled for you in the fridge. Immediately across from the kitchen is the master bedroom. The master has a comfortable queen sized bed. Perhaps most special of all are the sounds you hear from it. The master bedroom is closest to the sea. 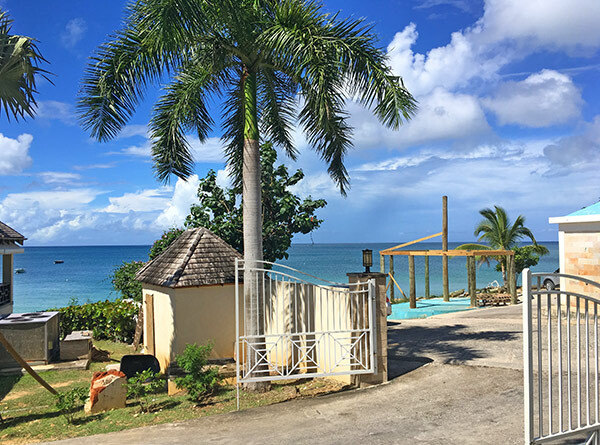 The soothing sounds of Crocus Bay's rhythmic waves lull you to sleep each and every night. The second bedroom is set further back from the sea. It is across from the living area and features two twin beds. 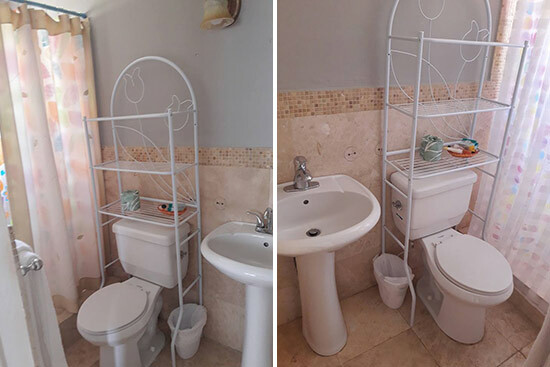 All bedrooms have closets, air conditioning and their own bathroom. The bathrooms are intimate yet clean, complete with stand alone sinks and a walk-in shower. The high-quality stone work tiling lends a particularly soothing feeling to the showers. It doesn't end there. Fast WiFi flows throughout the units, and each unit also has a wrap around terrace with outdoor dining areas. 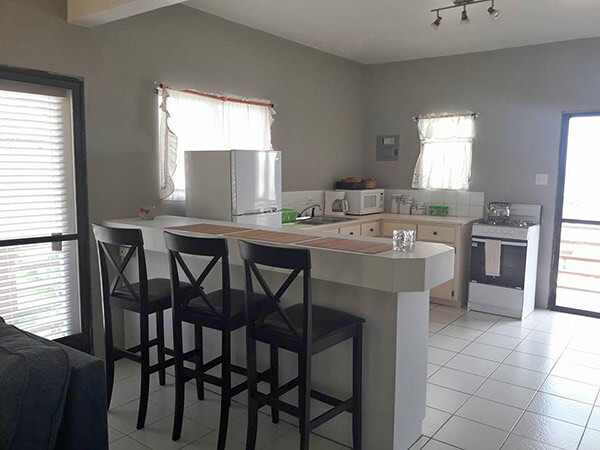 Clean, comfortable and spacious, The Cottages at da'Vida are "just right" for the price. Location? Check. Comfortable living space? Check. What about service? Check, check, check! The whole team makes you feel right at home. The staff puts their love and care into ensuring you have a comfortable stay. Merline, who was formerly at Lloyd's B&B, is on the property every day. She makes your bed, tidies up and even prepares your breakfast. 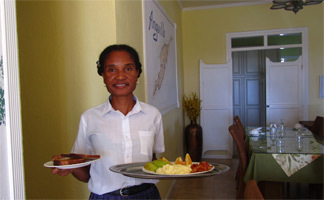 Breakfast is included in the daily rate and served every morning inside the main restaurant. 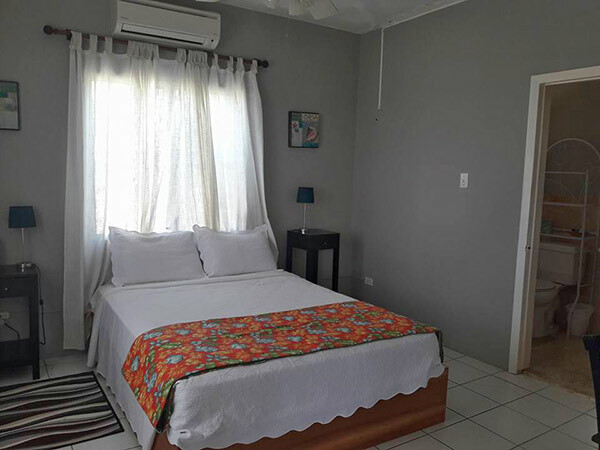 The Cottages at da'Vida blend the warm hospitality of a bed and breakfast with the privacy and independence of a private rental. 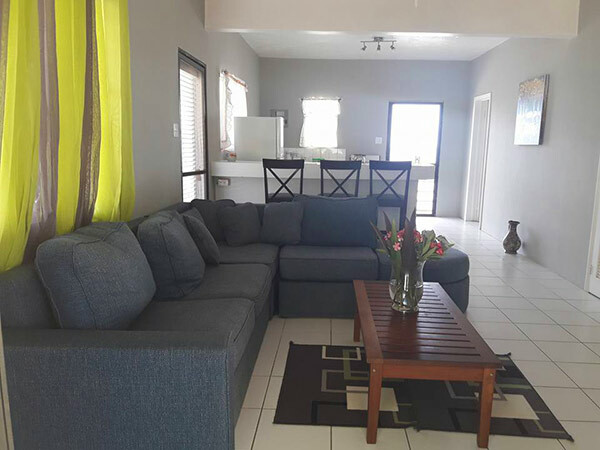 With WiFi, breakfast and a location that boasts direct beach access and da'Vida as an on-site restaurant, these cottages offer exceptional value. Rates are $169/night for the one bedroom and $269/night for the two bedroom.